If anyone should be excited about RFID in the lifting industry, it should be me. This post details why I think RFID has NOT made a significant impact in the Lifting Industry. My primary degree was in Manufacturing Technology which as the name suggests was mainly about reducing manufacturing costs using technology. I was always into technology and in 1999 was the proud owner of one of the first MP3 players “the Diamond Rio” which held 8 songs! I absolute detest repetitive work and which was very common in the Safety Industry, which I ultimately ended up in. 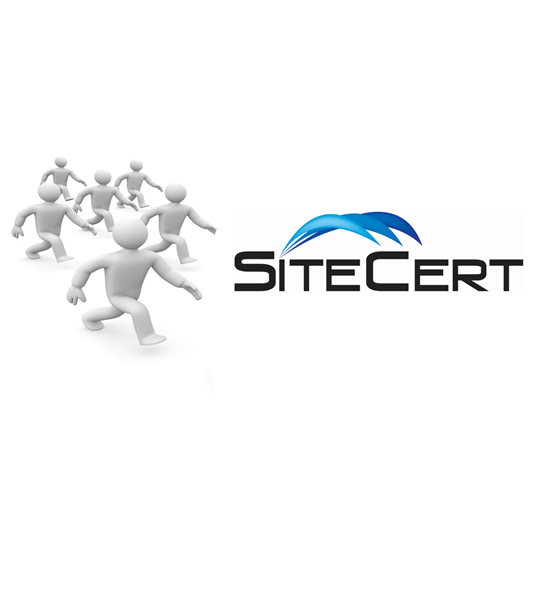 I set about applying technology to this industry to remove some of the repetitive burden and that is how Sitecert was born. In summary, I am an early adopter of technology, hate repetitive work, have background in reducing costs and designed software to reduce inspection costs. So why am I not head over heels about RFID? Why RFID is failing in the Lifting Industry. My degree in Manufacturing Technology thought us that there has to be a clear ROI (Return on Investment) on new equipment/processes deployed. There is no point in introducing technology for technology sake. Using Sitecert, it takes a maximum of 4 seconds to identify equipment so with bi-annual inspections you will save 8 seconds per year. 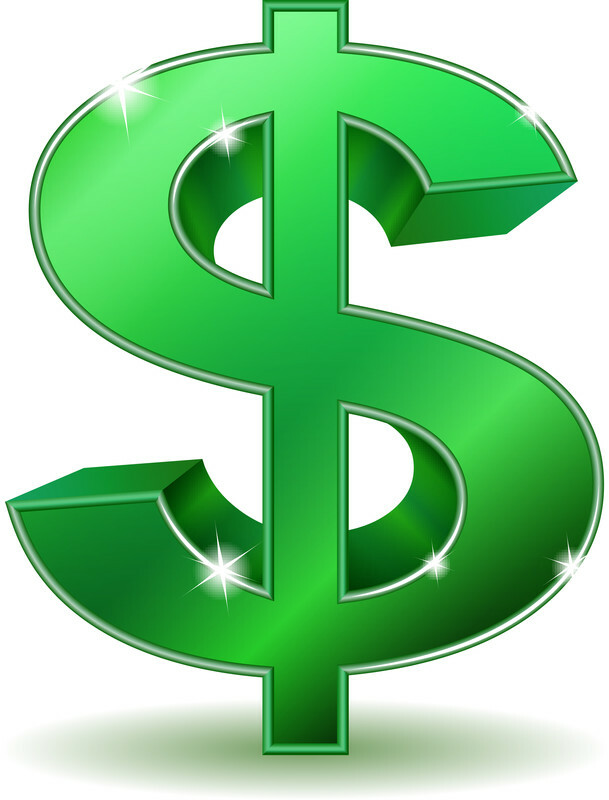 Therefore return on investment on RFID tags is not present for 3rd Party inspections. For weekly in-house examinations the ROI may be there as they are 52 inspections annually. Many of the RFID manufactures and the lifting equipment manufacturers who have placed RFID on equipment declare that everything is down to the RFID tag. In reality, it is the software that does all the work as the RFID tag just gives off a unique number the same as a barcode. 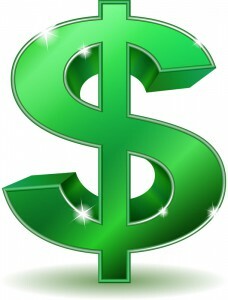 This unique number is associated with an asset in the software which automatically identifies it. RFID is NOT like a GPS tag, it does not tell you where it is. Software will tell you where it was last read by an RFID Reader, e.g. at point of inspection. 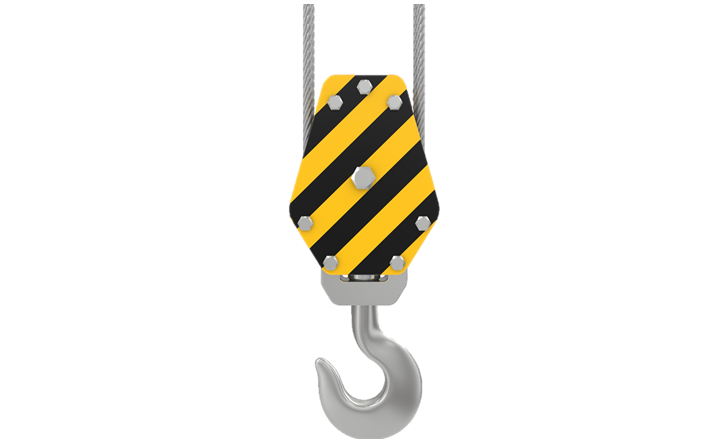 The tags in the lifting industry are 13.56mhz (NFC frequency) which means you have to touch the reader off the tag so as the tag can get enough energy to send back the unique number. Link to oil and gas use case. Again they are merging RFID with the benefits of inspection software to hype RFID. RFID tags can actually hold about an A4 size of data in addition to the unique number it gives off. You would think that the manufacturers of lifting equipment would “Write” to the tag at manufacture stage so that it contains the “Batch number” and other useful information. Unfortunately, this is not done it takes time to write to the tag, which they would have to then check that it was successful, thus introducing extra cost. Reading and writing to tags on metal is a difficult also. To access the user instructions and information, you must input the unique id of the tag in to their software online which then presumably displays information relating to that batch. If manufactures were really interested in customers they would write information to the equipment’s RFID tag first day and not have customers to go looking online for it. They may prefer this as they now have a direct link to who actually bought their equipment which they never knew before. 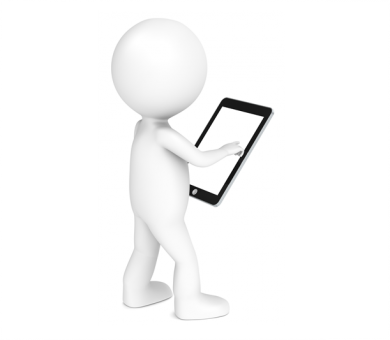 While the technology is there for this to be done – it does not happen in the lifting sector. Reading a RFID tag place on metal is difficult with standard readers and impossible when embedded in metal. 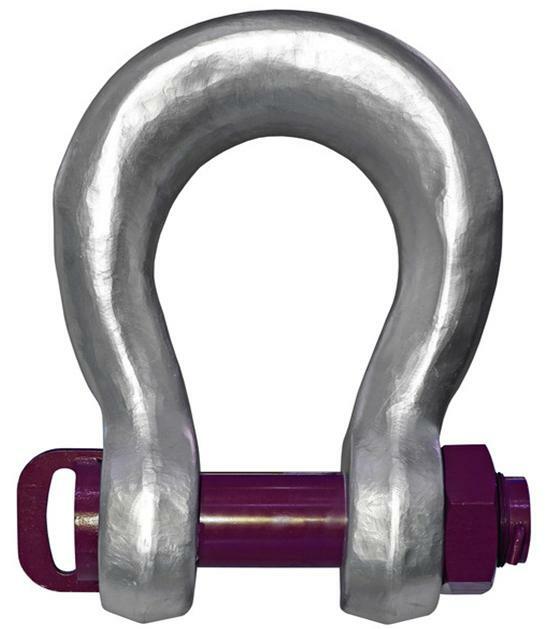 The rugged RFID readers that you see for the lifting industry are good at reading onmetal and are Bluetooth. Unfortunately they are one-way only as they can only read and cannot write information to the tag. The main benefit of writing this information to the tag directly is that anyone with a RFID/NFC reader can read the information without having to install software. RFID can be used instead of reading Serial number of equipment. If you cannot read the serial number of lifting equipment, then that equipment should fail the examination. RFID may identify equipment but you still have to ensure that the serial number on the software matches that on the equipment. Otherwise persons could move an RFID tag from a replica item that passed to an item that failed with no inspection reports. Other industries where inspections are not as regulated or equipment fixed need not have such high compliance standards, but that is the Status Quo in the lifting sector. 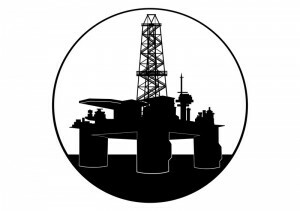 RFID in Oil & Gas. 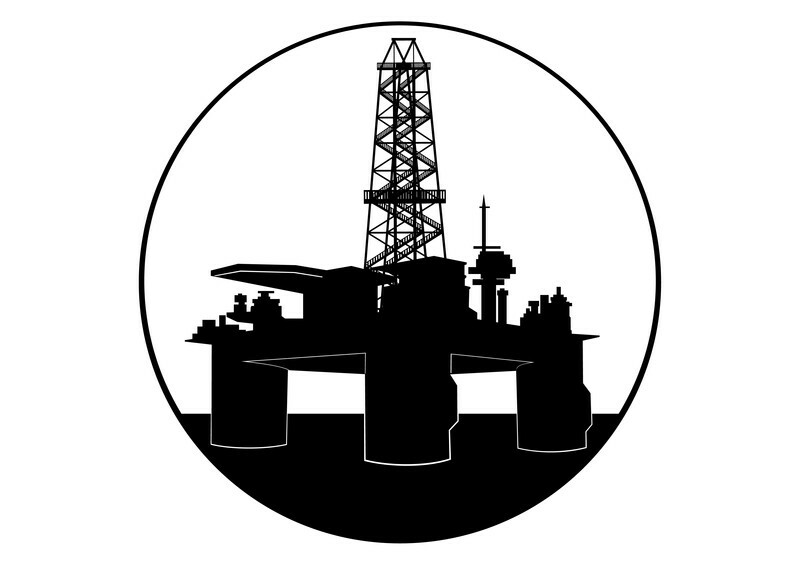 Rugged RFID suppliers have had some success in the Oil and Gas sector, especially for monitoring equipment locations. 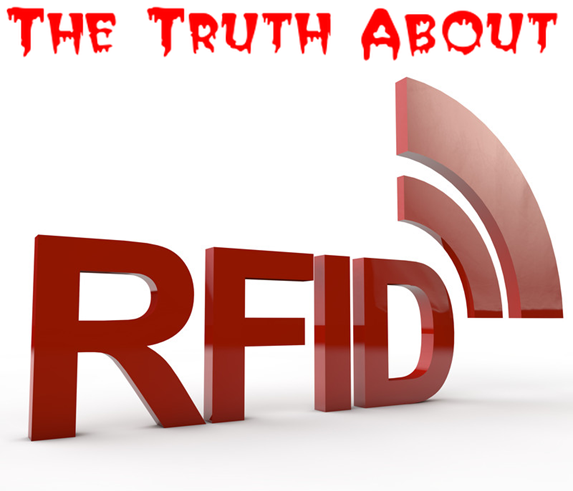 I’ll explain how different RFID’s work first in case you think I am contradicting myself! The RFID’s that are common in the lifting sector operate at 13.56mhz (HF High Frequency) which is actually the same frequency as NFC on your phones. These are “Passive” tags (have no battery) and take energy from the device to return information to the reader, so you really have to touch the reader off the tag for it to work. This is ideal for inspections as it ensures that the correct tag is being read and not a “rogue” tag located behind it. The Oil and Gas Sector use UHF (Ultra High Frequency) which are also passive. This enables the tags to be read from a greater distance. They can pass a container through “RFID Reader Gates” which records all the equipment in the container and assign it to a location. The other option is to use a handheld RFID reader which picks up all the equipment in the container and then assign it to the new location. You may be familiar with the “RFID Gates” from watching the end of marathons. The finishing line is an RFID gate which reads UHF tags embedded on runners number stickers. Unfortunately, the UHF tags are not good for carrying out inspections as when you hit the scan button it takes in the RFID tag in front of you and all the other ones in the vicinity. Some companies were fitting a separate HF tag (13.56) to use for recording inspections in addition to the UHF tag for recording locations. At LEEA’s Liftex in London last year we spoke to the RFID experts and they were excited as they had recently discovered a solution where only one tag had to be fitted. This involved a handheld UHF RFID reader whose power could be turned down so that it only reads what is in close proximity which is ideal for inspections and ramped up when they want to capture what is in a container. Other use cases for UHF tags in the oil and gas sector was that supervisors like to walk along a pipe line and at each valve, the inspection status would flash up on the screen also with examiner/inspection date. RFID Hype over for the lifting industry. As much as we would like RFID to be a success in the lifting industry, it is more likely to remain a marketing ploy for manufacturers and software developers who rode the hype curve to gain attention. We were no angels by any means! We also demonstrated RFID at tradeshows but we also went on to explain that our software was very good at identifying equipment and RFID was an extra. 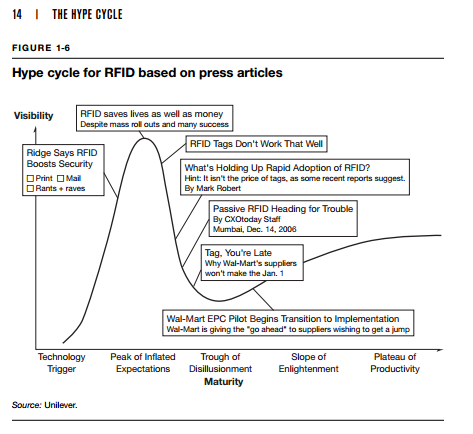 Jackie Fenn & Mark Raskino actually used RFID adoption as an example of how technology tapers off after initial hype in their book “Mastering the Hype Cycle- How to Choose the Right Innovation at the Right Time”. A graph of this can be seen below. 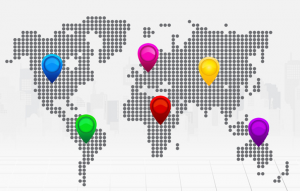 Our competitors also do not lead with RFID on their website anymore but with the benefits which their software brings. 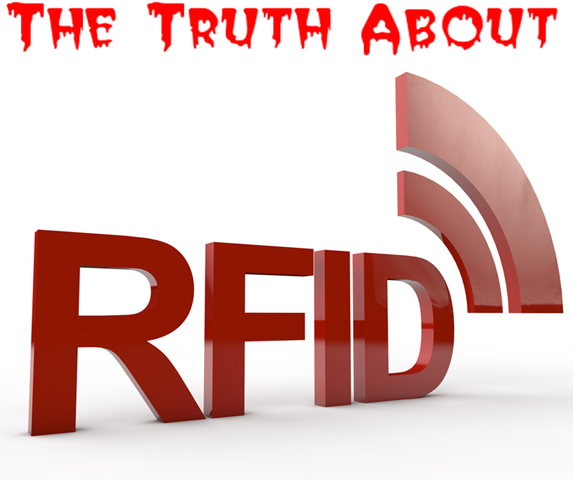 They have made a clear distinction between RFID and their software which is correct. They may have done this due to lack of adoption or issues with RFID. Mike Parnell of ITI is one who respected the Field id software but not the RFID readers. “I think we still believe in software and them keeping it and all those things going forward but we’re having a hell of a time with the reader system,” Mr. Parnell said. From speaking to customers who used a competitors system previously and deployed RFID, they utilized the tags initially but found they were spending too much time fitting them in addition to the cost of purchase. Holland 1916 who manufacture rugged RFID tags and has been a regular exhibitor at LEEA’s Liftex has recently amalgamated with InfoChip. They mostly concentrate on selling to the Oil and Gas industry and to the Lifting Equipment manufacturers who ship with RFID tags attached. It would have been nice to keep another player in the field but both companies provided good quality tags and I expect this to remain so. I have been harbour these thoughts for quite some time now as I didn’t want lose a sale if persons thought we did didn’t “Do RFID”. I feel that now is a good time to publish this article as those in the lifting have studied RFID for a while and have recognized its weaknesses for 3rd party inspections. We do have access to companies who have tried RFID in the lifting industry who will tell you directly their own experience of RFID should you be contemplating going down this road. Please do not hesitate to contact us if you want to reach out to them for their views. I DO believe that there is a role for RFID for in-house inspections which tend to be more regular and therefore have a quicker ROI. We are rolling out our inhouse compliance product in 2015 so our customers will be in the market for purchasing RFID tags to utilise with the system. As we are based on a University Campus we are located in the same building as the European leaders for RFID research www.imar.ie. We are currently carrying out some exciting research involving RFID which will we hope will finally rid the industry of having to colour code everything. We will keep you up to date and inform you of any developments in same.